Discover how to “Get the Most from Writing Conferences” at the St. Louis Writers Guild’s free, public workshop from 10 a.m. to noon, April 5, at the Kirkwood Community Center, 111 S. Geyer Rd. in Kirkwood. 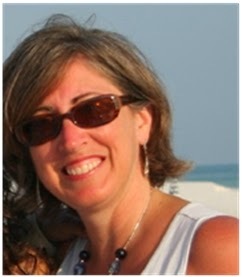 Lisa Miller founded Walrus Publishing, Inc., in 2007. 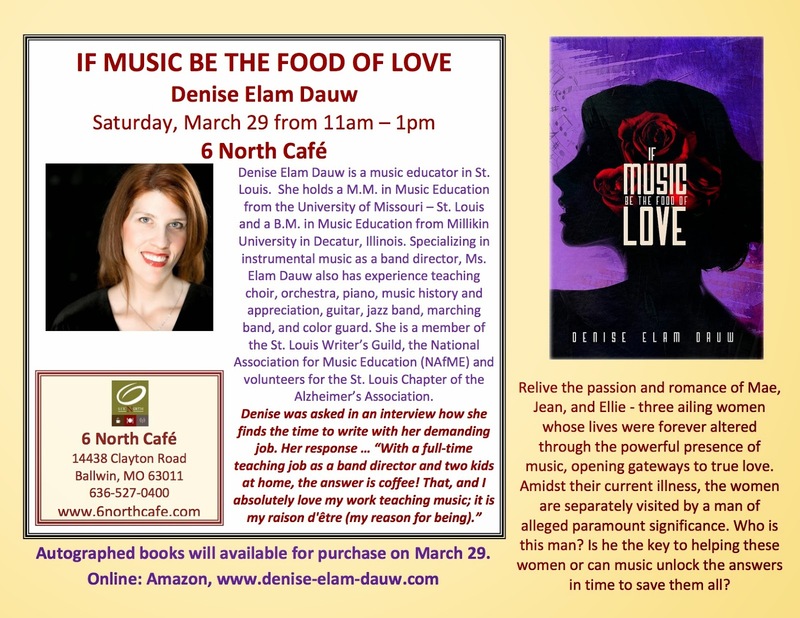 She expanded its mission beyond St. Louis by publishing books people enjoy reading, collaborating with writing groups and programs, and assisting writers to reach their publication goals. Kristina Blank Makansi founded Blank Slate Press in 2010, and has since edited and published several award-winning novels. As co-founder of Treehouse Author Services, she works with authors seeking representation and those who want to self-publish. A Young Adult dystopian novel she co-authored, THE SOWING, has garnered nearly 50 Amazon reviews and hit several Amazon best-seller lists. Brad R. Cook, president of the St. Louis Writers Guild since 2011, leads author management, acquisitions, and marketing at Blank Slate Press. 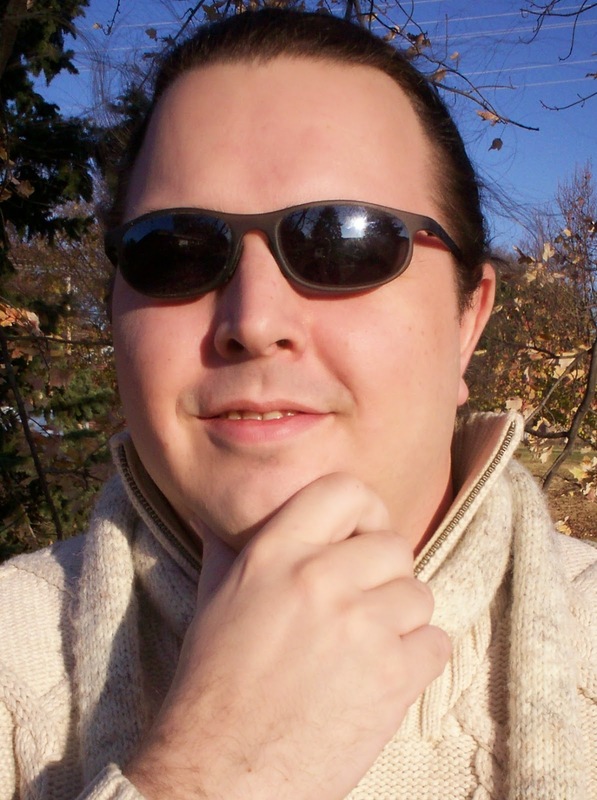 He writes historical fantasy and poetry, and is a founding contributor to The Writers’ Lens blog and The Write Pack, a weekly show on BlogTalkRadio. 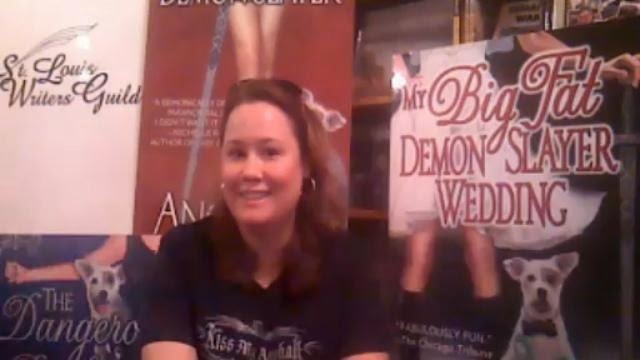 Angie Fox, New York Times Bestselling Author of the Accidental Demon Slayer Series and The Monster M.A.S.H Series sat down with me the other night for St. Louis Writers Guild Author Series. 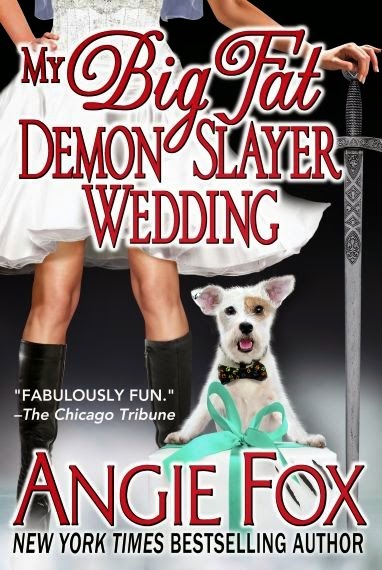 Angie discusses her novels, being one of the first hybrid authors, and her writing process in the interview! SLWG would like to thank STLBooks for hosting the event! Find all the SLWG Author Series interviews on www.stlwritersguild.org or on Youtube! 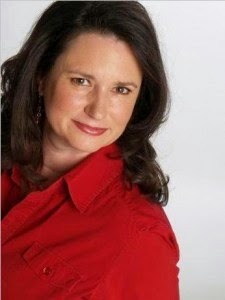 Welcome to Laurel Schroeder, narrator of the audiobook of my novelette, JAGUAR HOPE. I didn't want to pass up a chance to get "insider" information about doing audiobooks from the "talent." With an MFA in acting and a BA in Theatre, what is the next step in your acting career? The next step for me is putting those degrees to good use! As an actor, the training I've had has been an invaluable part of shaping who I am as an artist. I like to think of creativity as a muscle. The more you use it, the stronger it gets. My graduate program was very intensive, and definitely strengthened my creative muscles! I also got a lot of vocal training in school, which is infinitely useful in recording audiobooks. What advice would you give authors about how to solicit auditions for their book? For instance, ACX gives choices such as female/male/male reading as female, Spanish/British accent, brooding/storytelling/etc. Some of those categories are a lot easier to sort through than others. It's pretty easy to decide if you want a male or female voice for your book, or if you're open to either. Same with accents -- you pretty much either want one or don't, depending on where your book is set. But the 'vocal style' category is a little trickier. I think of it as a jumping off point, or a way to help the narrator understand the main tone of the book. But it always seems to me that a well written story will require a number of different vocal styles! You've produced a variety of audiobooks -- from nonfiction to genre, short stories to full-length. How do you choose which books to narrate? I really just look for work that is well written and interesting to me. As a narrator, I spend a lot of time with whatever project I'm working on at the moment, so the process is much more enjoyable if it's a book that I love! 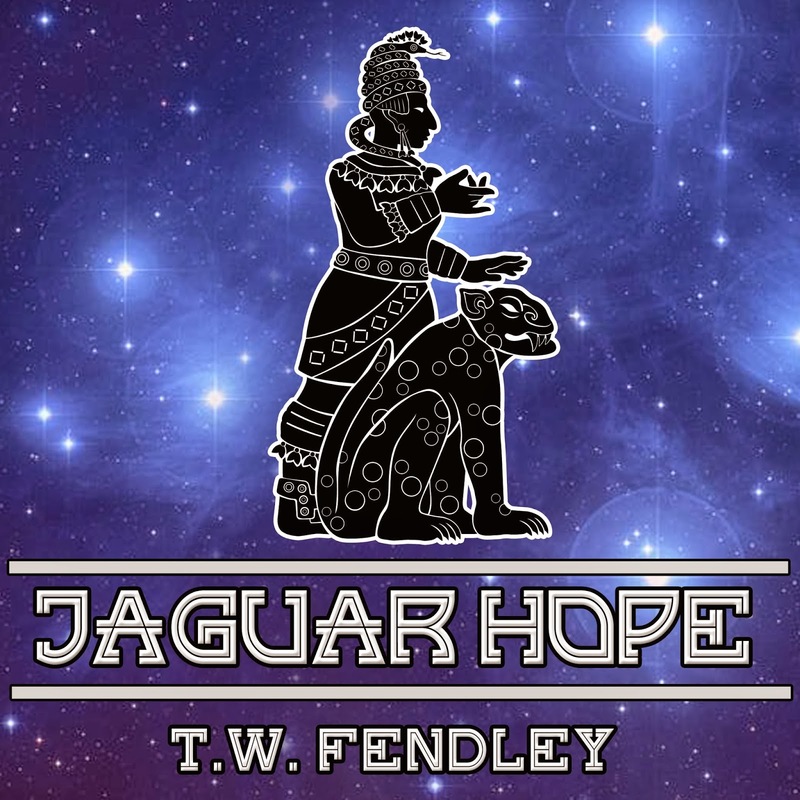 Jaguar Hope has such an interesting story, I was really intrigued after reading the sample Teresa posted on ACX. I partly hoped I'd get the job just so I could find out how the story ended! How long does it take you to produce an audiobook? It takes about 6-7 hours for me to complete one hour of finished audio. That includes recording (sometimes multiple takes of tricky passages), editing, and mastering the audio. It's time consuming, but I'm really happy working as both narrator and producer of the audiobooks I've done on ACX. I get attached, and I have very high standards, so it's nice to have my hands on all aspects of the project, rather than passing it off to an editor. LAUREL SCHROEDER graduated from the MFA Acting program at the University of Houston. In the summer of 2012, she worked with the Peterborough Players in New Hampshire, where she played Jo in Little Men and Agatha in The Admirable Crichton (for which she received a New Hampshire Theatre Award nomination for Best Supporting Actress). At the University of Houston, she recently appeared as Masha in Three Sisters and Scilla in Serious Money. After graduating, she joined the cast of Sherlock Holmes and the Adventure of the Suicide Club at The Alley Theatre in Houston. This is the Lenten Season, when many Christians who observe it sacrifice something out of their lives for 40 days until Easter. I am trying to regain something instead. Whether you like it our not, a life of a writer must be filled with self-discipline. It is the discipline to sit and write when we don’t want to. It is the discipline to carve out of our day and night time devoted to our art. It is the discipline to continue despite the rejections and the criticism and the sense of failure. It was a discipline that I never thought would be broken. It took years to break it. Now—now I am determine to recover it. 7:00 AM on work days, arrive at the bill paying job. On weekends back to writing. Lunch time on work days was spent writing or researching. On weekends take a break, go to karate workout and sparing classes then back to writing. On workdays in the evening: return home from the bill pay job, go to karate , go to karate workout and sparing classes then back to writing. On weekends in the evening: research, write, spend some time with others. With the door that led to possible success opening, this all changed slowly over several years as my bill paying job didn’t allow for too much free time and I was busy taking care of an elderly parent on top of that. I would make time to write, but my concentration wasn’t there as I had to keep an ear open for problems. There wasn’t anyone else to help. I am an only child and my cousins have their own families and parents to take care of. In the peak of the parent’s bad health, I was going for months living on one or two hours of interrupted sleep a day. I went from producing a fully drafted novel in two months to not being able to produce a novel in four years. I felt like a fraud as this talent in me shriveled and all but died on the vine. After a lifetime of writing, with only very mild success of short stories and poems published, I came to the point of walking away from this art. I was devastated—no, worse than that. My soul felt like it was broken and bleeding out, a wasted life with all that was left was a long count to the final grave. I don’t like anyone whining and I am intolerant of it in me, even when others would say it is deserved. I made a decision months ago when I hit bottom that I was going to somehow crawl out of this hole and use this gift—this talent—this insanity as it was meant to be done. There is a graduation speech on YouTube by Neil Gaiman that somehow rekindled the fire within. It was slow, but like a good camp fire that would last the night and not one that was built to burn quick and die, I felt my soul come back to life. Mr. Gaiman said over and over again in the address that when life handed you something bad, make good art. Those words, like seeds spread on good soil, have taken root. There is a painting that I once saw at the St. Louis Art Museum that called to me. I own a print and if you Google Image search the name "Sadak in Search of the Waters of Oblivion" you will find it. The painting is about man who had the love of his life stolen by a Genii. The man was determined to find his love and rescue her. In the painting he is crawling up an impossible cliff, his clothes ripped to shreds and he is almost to the point of surrender—but there is something just holding on. I feel like that man. Every time I have been told how good of a writer I am, I feel like I have climbed this cliff only to have failed. Every time I have been told that I kept a fellow writer going, I wonder –can I keep going? Finally I know the answer is yes. While many people are observing Lent, I am digging up the old discipline like an archaeologist—not digging with a back hoe but carefully shifting the dirt and brushing it away carefully with a toothbrush. It is labor intensive, but like that archeologist who knows that they have discovered something and will bring it back to civilization, I have the patience to see it through. Each day I am doing one more thing to move myself down that road. 1. Maintain the to do list. For each project I am working on as a writer or in my bill pay job or with my martial arts, I have a to do list. Then I have a master to do list. The to do list is not just a list, but it is categorized and prioritized. As I mark each item off the list or mark it as in progress, I sync the project list that night where the item came from. 2. When working on multiple projects, focus on the ones that will yield results first. I take all of these, and give each of these projects their own to do list and their own focus time-1 hour at a time. I am slowly getting back to the level of exercise and dedication to my marital arts that I had for decades before everything collapsed. I am not just jumping back in. I have tried that and it is a recipe for failure. As I said, I need a win. So, I am working with my Kenpo instructor going back over every single technique and kata and polishing them to be executed like the 3rd Degree Black Belt I am. While I have always trained for the street first and foremost, it is this –path that I need to take right now. These are my new workout routines. I can’t run anymore after a surgery I had. But these I can do. While my old battojusu instructor passed away decades ago, I remember his teachings and I am weaving the Katana techniques in with the Kenpo, as I had started to before. With my cell phone being the main life line for the parent I take care of to get a hold of me, I can’t do this 100%. However, I am unplugging myself more and more from the Internet, Social Media and the cell phone as I can. I am not answering calls—even from the bill pay job (which before I was on call 24/7)—if I am in the zone of “writing project focus”. The calls can be returned when I am done. I am using a timer to help with my focus time and I am also using certain meditation-focusing techniques. My diet has not been something that I can easily control. I know there are people out there that will say, “You can control what you put in your mouth.” I welcome them into my shoes. When dinner is the only true social time that the parent you care for gets (not because they can’t do it other times, but won’t) you are forced to go to dinner almost on a nightly basis. While I could sit there and eat a salad, assuming I am at a place that has a salad, or soup or just drink water, that doesn’t work in the long term day after day year after year. Instead, I have to pick more carefully what I can and should eat. I have created a list of main foods that help keep you focused and control your blood sugar. I have created a list of foods that I should avoid. Sadly, where the elderly parent wants to go is where the foods I should avoid are most abundant. I am still working on this. It is slow. But I would rather have the slow fire that lasts than the one that burns bright and dies quick. Along with this, I have returned to keeping a food log. I limit myself each week with the number of calories I can consume. It is like a weekly bank account. If I go over on one day, then the other days suffer. 7. Re-establish my old writing habit. With the focus techniques I talked about, I am slowly learning and adjusting to being able to write at home. I am also, very slowly returning to my old morning routine. If all goes right, I should be back to that on Easter Day-by making 5 minute adjustments each day. None of this is easy. Success is never guaranteed. Yet, I am determined to make 2014 a year where I rebuild and get my feet back under me. Every Black Belt and every successful writer out there will tell you that no ordinary person ever achieves success. Each of us climbs the mountain following a different path and each of us knows it takes a lot more than an ordinary person can do to achieve it. There is a saying in martial arts that says no Black Belt can stand on its own. It is only the mark displaying the change that went on in the person wearing it. The Write Pack is back and you can find us howling about the written word every week! The question every writer faces in the modern world of publishing is if they should choose to try to be traditionally published, self-published or a hybrid. It is not an easy decision and can shape your career as a writer. This debate, which has raged and simmered for years, has been fanned into an inferno of dueling blogs around the question: Has the publishing world now been divided into a “caste system.” Follow along as the Write Pack feels their way through this maze. The following blog posts are for reference. The Write Pack Radio Show includes Fedora Amis, Jennifer Stolzer, Matthew McGraw, Jamie Krakover, Peter Green, T.W. Fendley, Melanie Koleini, and Brad R. Cook. Write Pack Radio would like to thank STLBooks for hosting the recordings! 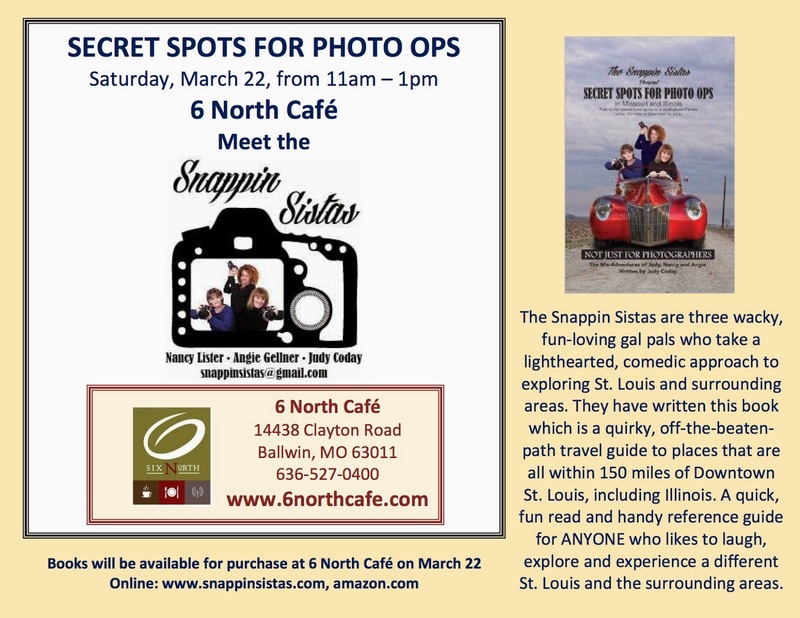 St. Louis’ newest independent bookstore! Find WPR on Facebook too! 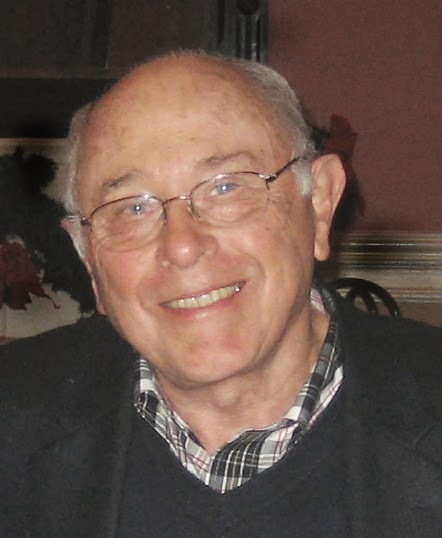 Welcome to Peter H. Green, whom I've had the pleasure to know as a member of the St. Louis Writers Guild board and as an L&L Dreamspell author. 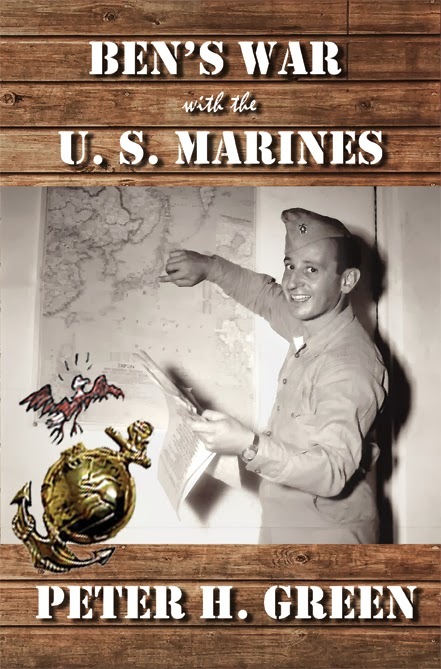 Today's a special post, announcing the re-release of his narrative nonfiction account of BEN'S WAR WITH THE U.S. MARINES. First I want to thank you, Teresa, Brad and David at The Writers' Lens, for your interest in my work. It’s quite an honor to be part of your lineup of distinguished authors. What inspired your latest book? At our 40th college reunion my classmates posed the provocative question: What are you going to do with the last third of your life? On that trip my wife Connie and I also visited one of her college classmates, Mary Oates Johnson, a writer and editor herself, in Andover, Mass. I happened to mention that I spent the summer of 1945, when I turned six, just up the coast with my mother, sister, aunt and her family in a rented seaside house at Annisquam, while Dad was off to war. She insisted on guiding us toward that tiny fishing hamlet. Along the shore road in Annisquam, I recognized a beach turnoff and found the house where we spent that summer! Later that evening, over much great seafood and wine, Mary convinced me I had the story I needed to write a biography and family memoir, based on some 400 letters my mother had saved from that time. My classmates had already convinced me I needed a new career, and I resolved at that moment to become a writer. The letters revealed, among much other hitherto unpublished WW2 history: as de facto manager of Armed Forces Radio Station WXLI on Guam on August 14, 1945, Ben scooped the stateside networks on news of the Japanese surrender. What brings your writing into focus-—the characters, the stories, the love of words? If you’ll pardon my impertinence, “focus” could have a fuzzy meaning—what it means for me may be quite different from its significance for each reader. But in this book, for me it was placing two strong-willed characters at the mercy of powerful forces in very different settings. Ben Green was a low-ranking but resourceful nonconformist whose talents were lost in the military bureaucracy. As 1944 began, he had just enlisted in the Marine Corps with the intent of assisting the war effort as an officer in combat intelligence. He was 35 years old and left behind a wife and two small children. The vagaries of war, however, did not result in his anticipated officer training. Instead, he found himself training in the Marine infantry along with tough, angry kids, half his age. Back home, his family coped with economics, emotional stress, and fear of the unthinkable as they waited in dread for the news of Ben’s assignment to the next island invasion. Like Luther Billis in Michener’s Tales of the South Pacific, however, Ben learned how to work the system and adapt to both the absurdities and opportunities of military life. He did so in way that provided meaningful service to his country and promised the hope of returning to his family. Also as in Michener’s tale, the indescribable beauty of a tropical paradise contrasts starkly with the horror of war, while unhappy soldiers endure tense boredom, torn from their loved ones, waiting for something to happen but desperately hoping it will not. What music could be the theme song for your book? There are many, but “Boogie Woogie Bugle Boy” as sung by the Andrews Sisters sets the tone. My next biography, will have a big band song of the era connected with each chapter, and I’m considering a multimedia e-book. A book-match for Ben’s War with the U. S. Marines, his wife Alice’s war story, will be called Radio: A Love Story in War and Pieces, to be published by Greenskills Press in 2015. After the March 11th release date, which will be the 106th anniversary of Ben Green’s birth, this book, richly illustrated with photos and Ben’s own sketches, reviews and the Print and e-books editions will be available at Amazon.com, other book websites and the author’s website, www.peterhgreen.com . hilarious World War II misadventures of Pfc. Ben Green--a low ranking but quick-witted individualist who battled the system to serve his country with honor and yet preserve the hope of returning home to his family.